"News from Disney" Merges into "A World View"
Back in September 2010 I started the "News from Disney" blog as a means of sharing stories from the public information departments of Walt Disney World and other Disney destinations. The intent was to separate the articles I personally author and post in my primary Disney trip planning blog -- A World View -- from the series of general information stories provided by the Disney company itself. Then over time, I started adding other topical blogs about Disney and in particular, Disney Contests & Sweepstakes. Well, I've finally gotten to the point of not being able to manage information updates on all the web sites (not a real surprise), and a little consolidation was clearly in order. 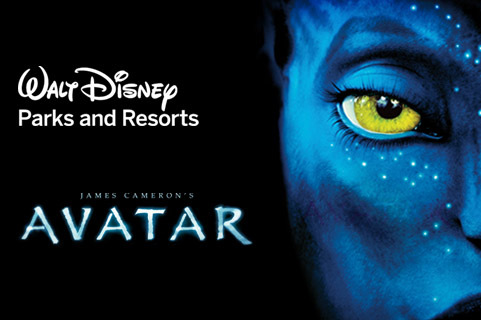 It was the Disney Contests & Sweepstakes website that finally made the decision for me. It is so popular (way more than any other I'm managing), that any time I had available for "News from Disney" dwindled; and in fact, my Disney Desktop Wallpaper and Photo Library blog has also suffered from lack of attention. In order to maintain the information sharing I think important to building readership, I'll be posting what was previously on "News from Disney" onto "A World View" beginning immediately. I am also investigating a move to having my own website and web address rather than the Google blog format, and then moving over the Wallpaper and Photo Library resources to that new site. But this will take a little time and development, particularly since there are several new features I am planning as well, on a new consolidated web page. So, for those who have been reading "News from Disney", THANK YOU; and please check out "A World View" for the latest news on Walt Disney World and other Disney destinations. Based on an overwhelming response to its first Hawaiian itinerary, Disney Cruise Line is adding a second Hawaii cruise to its 2012 schedule. 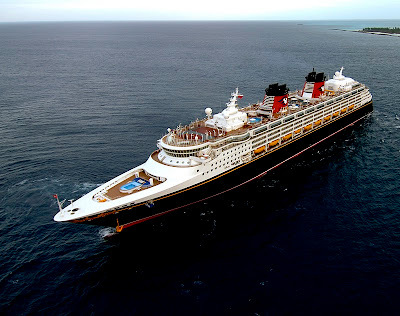 The addition of a second Hawaiian voyage complements a diverse array of Disney Cruise Line itineraries departing from the West Coast, including cruises to the Mexican Riviera, Pacific Coast and Alaska. With a majority of its West Coast sailings originating from the Port of Los Angeles or the Port of Seattle, a Disney family cruise vacation is more accessible to guests from the western United States. For the first time, Disney Cruise Line will offer two special voyages to Hawaii from Los Angeles, calling on Kahului, Maui; Nawiliwili, Kauai; Honolulu, Oahu; and Hilo plus Ensenada, Mexico. The 15-night Hawaiian itinerary, which includes nine days at sea, departs April 29, 2012. The newly-added 14-night Hawaiian itinerary, with eight days at sea, departs Oct. 14, 2012. The Disney Wonder will sail through the breathtaking beauty of the Hawaiian Islands, where guests can experience the famous beaches of Waikiki on Oahu, see the views from high atop the summit of Haleakala Crater on Maui, take in the lush tropical gardens and waterfalls of Kauai and, on the Big Island, explore the natural wonders of the world’s most active volcano. Rates for the Hawaiian cruises start at $1,800 per person for a standard inside stateroom, based on double occupancy. 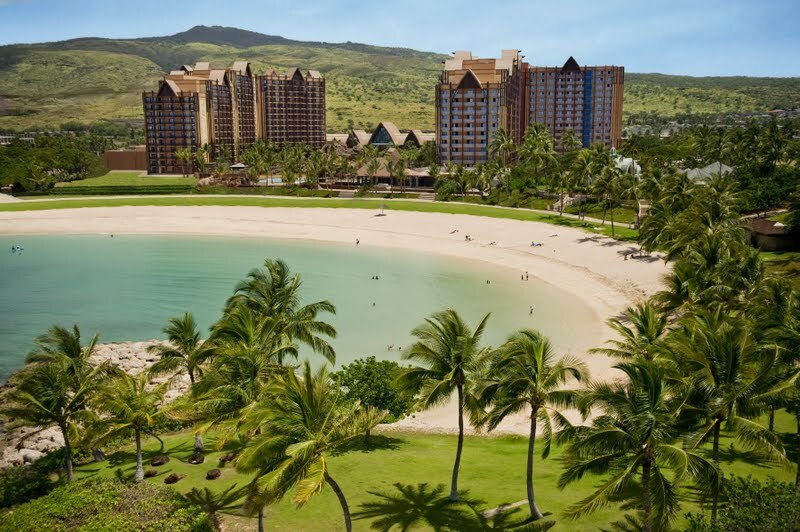 KO OLINA, Hawaii – Aulani, a Disney Resort & Spa, combines the beauty and spirit of the Hawaiian islands with the magic of Disney storytelling and guest service, creating an unforgettable family vacation experience. Set on a beautiful lagoon along the coast of Oahu, Aulani welcomed its first guests on Aug. 29, 2011. Aulani serves as a gateway to the fun and enchantment of the islands, noted Tom Staggs, chairman of Walt Disney Parks & Resorts. Each day of their stay, Aulani guests can customize their experience – relaxing on the beach or in Laniwai, a Disney Spa, playing in the pools or discovering the island on a specially planned excursion. Among the unique experiences at Aulani are gathering at the fireside Mo’olelo for storytelling (mo’olelo is the Hawaiian word for story) and spotting statues of Menehune, the legendary island little people, hidden throughout the resort. Aulani traditionally means “a messenger of a chief – one who delivers a message from a higher authority.” The name Aulani is fitting, as the resort serves as a messenger of the Hawaiian spirit, people and culture. Aulani occupies 21 acres of oceanfront property in Ko Olina, adjacent to a nine-acre, crystal-blue lagoon and white-sand beach. Ko Olina is 17 miles from Honolulu International Airport and less than an hour from Waikiki Beach. Aulani also features two signature restaurants – the full-service ‘AMA’AMA and the buffet-style Makahiki – offering foods unique to Hawaii. 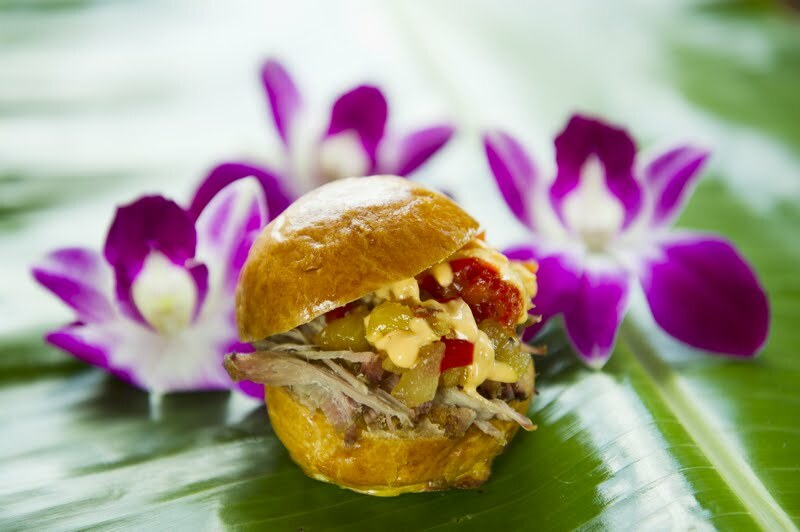 At the chic, beachside ‘AMA’AMA, ocean breezes soothe the spirit as chefs use fresh local ingredients and island flavors to create distinctive dishes at breakfast, lunch and dinner. The menu includes vegetarian options and classic cocktails with new twists, plus desserts house-made daily. [WALT DISNEY WORLD NEWS] Every year, Americans for the Arts, through the Business Committee for the Arts (BCA), recognizes top U.S. companies for their exceptional commitment to the cultural community through grants, local partnerships, volunteer programs, matching gifts, sponsorships and board membership. Earning honors as part of the BCA 10: Best Companies Supporting the Arts in America for 2011, Walt Disney World Resort will receive its award on October 5 at a black-tie gala at the Central Park Boathouse in New York City. For nearly four decades, Walt Disney World has continued to honor the spirit of corporate citizenship by giving back to the local arts community. Disney uses a multi-faceted approach in supporting arts – giving millions in cash donations, in-kind products and the knowledge and expertise of its Cast Members – to make the most meaningful impact. Among these contributions is a $12.5 million capital investment in the Dr. Phillips Center for the Performing Arts. In 2010, Walt Disney World gave more than $565,000 to the local arts community, including Disney Helping Kids Shine grants to support local youth arts programs. [WALT DISNEY WORLD NEWS] – Live retro sounds of pop, rock, jazz and funk fill the night when top musical acts unleash their greatest hits during the the Epcot International Food & Wine Festival Sept. 30-Nov. 13, 2011, at the Walt Disney World Resort. “IllumiNations: Reflections of Earth,” lights up the World Showcase with lasers, music and fireworks to provide a “wow” ending to each festival evening. 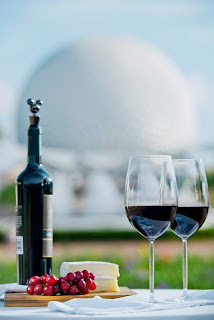 [WALT DISNEY WORLD NEWS] — Exotic cocktails will pair like a tropical daydream with fresh new tastes from more than one island paradise at the 16th Epcot International Food & Wine Festival Sept. 30-Nov. 13, 2011, at Walt Disney World Resort. The one-of-a-kind 45-day festival serves up international cuisine, culture and entertainment from six continents, with more than 25 international marketplaces featuring tapas-sized portions paired with beer, wine and inventive new cocktails. With a swing across the Atlantic, guests will be transported to the new Portugal marketplace, where guests can pair a red, white or port wine with calamari salad with olives and smoked paprika or Linguica sausage with onions, peppers and olives. The Scandinavia marketplace will return after a hiatus with a fresh new Xante Sunshine cocktail made from Xante pear and cognac liquer. And the Canada marketplace will introduce a sweet treat: apple ice wine.